When we think of great motorcycling destinations, our minds often turn to the roads abroad – the mountain passes of the Alps, the desert pistes of Morocco, the vast wilderness rides in North America – but perhaps we need to stop being so modest, and finally admit that we have some of the best riding around. I’m not trying to be dramatic either, I genuinely believe that there are some incredible routes on our shores, and this list of five of the best roads in the UK will go some way to proving that. While there are so many fantastic motorcycling roads in Britain, we teamed up with the guys at Pirelli to whittle it down to five of our favourites in order to test out the Pirelli Scorpion Trail II tyres. The five that we’ve selected all provide an excellent mixture of fantastic scenery and thrilling tarmac that’ll have you turning back for more. 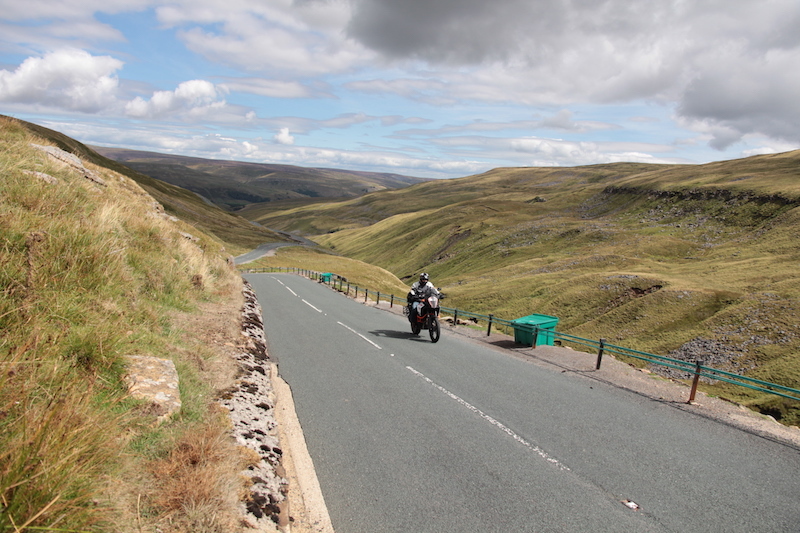 Located in the heart of the wonderful Yorkshire Dales, Buttertubs Pass was once described by Jeremy Clarkson as “the only truly spectacular road in the United Kingdom”. While he’s talking rubbish (there are so many ‘spectacular’ roads on this here rock of ours), I couldn’t agree more with the sentiment. Buttertubs Pass, which is named Cliff Gate Rd on maps, links Hardraw and Thwaite via a 6.2-mile long mountain pass that wriggles and writhes through the spectacular Yorkshire Dales scenery. The road gets its name from the ‘Buttertubs’, a collection of limestone potholes some 20m deep just off the side of the tarmac. It is said that farmers used to rest here on the way to market, and on hot days they’d lower their butter into the cool, dark chasms to keep it from melting. 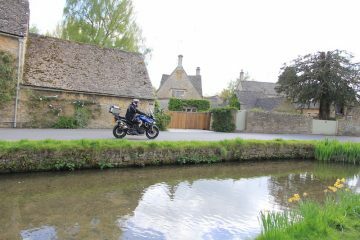 While you won’t be chilling any butter, it’s well worth pulling over to admire the views, and no doubt you’ll want to turn around and do this ride in reverse as well as this is truly one of the best roads in the UK. 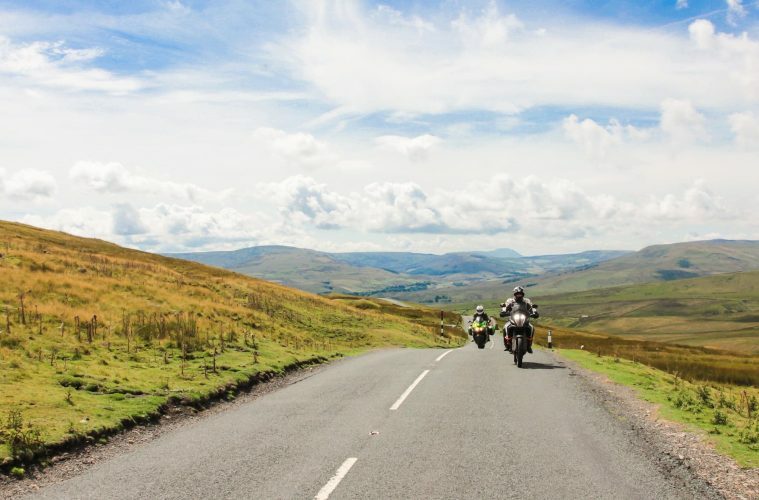 Make a day of the ride by exploring the Yorkshire Dales, it’s almost as if you can’t take a bad road here, and with quick links to the rest of the country via the M6 and M1, you’ll be able to continue riding late into the day. Where is it: In the heart of the Yorkshire Dales between Hardraw and Thwaite. Ride it: Buttertubs Pass was included in our Yorkshire Dales Discovery Route, and you can get the gpx. files for the ride here. 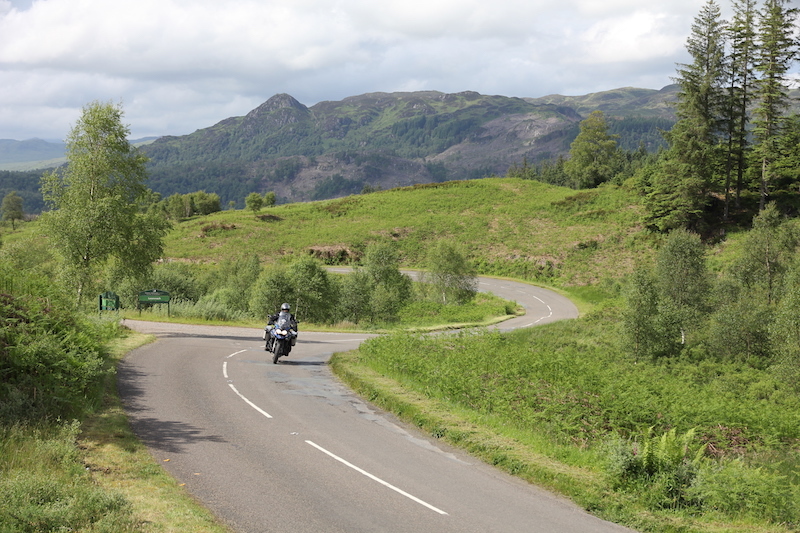 When headed to Scotland it can be all too tempting to blast into the Highlands as quickly as possible so that you can sample the delights of Glen Coe and Bealach na Ba, but by doing that you’ll likely bypass one of the country’s most enjoyable stretches of tarmac in Duke’s Pass. Looking on a map, you’ll want to find the road between Kilmahog and Aberfoyle in the Loch Lomond and The Trossachs National Park. Here you’ll see a 14.2-mile long ribbon of road that twists and turns along the shores of Loch Venachar, before passing Brig o’Turk and Loch Achray. 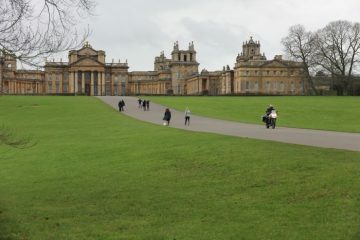 Originally built for the Duke of Montrose (hence the name), for its entirety the road excites, with each bend tempting you to get that little bit more from your bike and its tyres. Keep your eyes peeled for tourist coaches during peak season as they take a wide berth around the bends, but go outside of the main summer months and you’ll almost have this magnificent pass, one of the best roads in the UK, to yourself. Where is it: In Loch Lomond and The Trossachs National Park, Scotland, between Kilmahog and Aberfoyle. With Scotland being as beautiful as it is, to say that the Isle of Skye is one of its most scenic areas is a big statement. 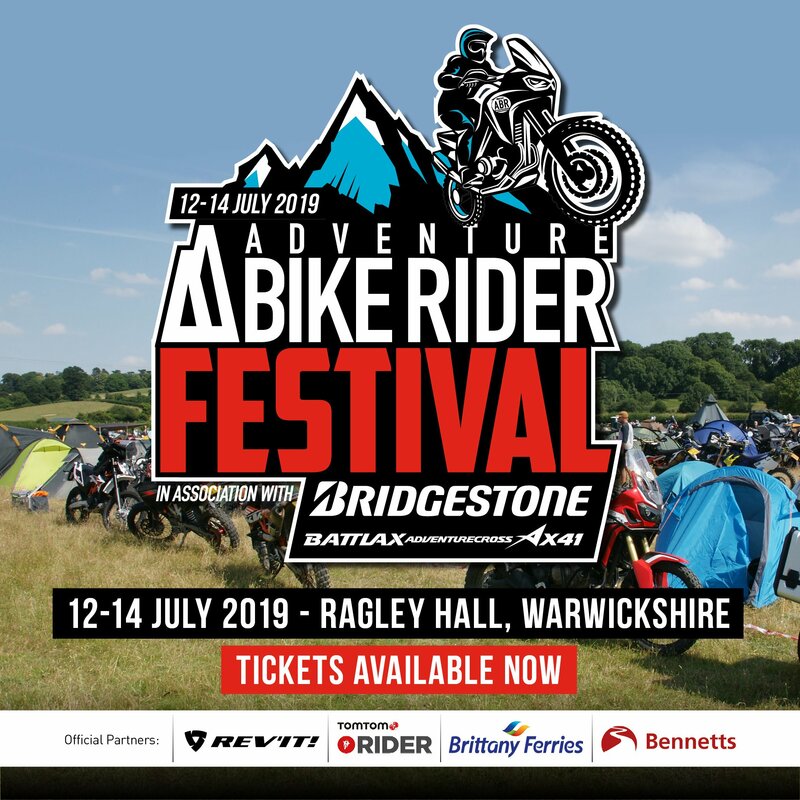 But having ridden extensively around the country over the past two years, it’s a location that stands out as being an incredible riding destination. From the views of the spectacular and imposing Cuillin mountains, to the enchanting Fairy Pools and the iconic Old Man of Storr, there’s just so much that the Isle of Skye has going for it. 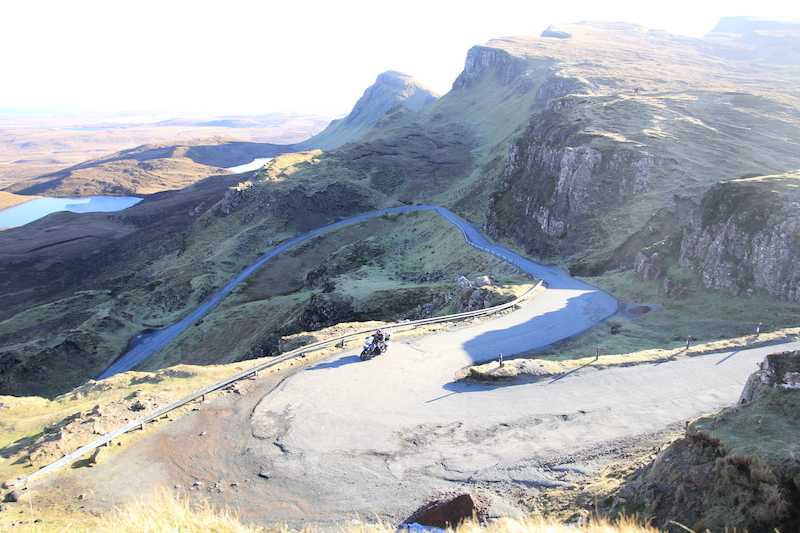 Riding around the island’s coast provides a journey that ticks all of the boxes of a world-class tour, and the mountain road on the island’s northern reaches, known as the Quiraing Pass, is an unforgettable ride. It’s a short jaunt at only eight and a half miles, but as soon as you leave the coastal village of Uig and begin ascending up a series of sharp, steep bends, you can sense you’re in for something special. Signs warning of the road’s impassability during winter hint at a great mountain road, and before long the moorland opens up around you and you get a real feeling of being in the wild. This is all building up to the showstopping finale, and after a few miles of great riding, you crest the top of the pass and in true dramatic fashion the eastern shores of the Isle of Skye lay sprawled beneath you. This remarkable landscape was created by a series of landslips, and the result is truly belittling and memorable. 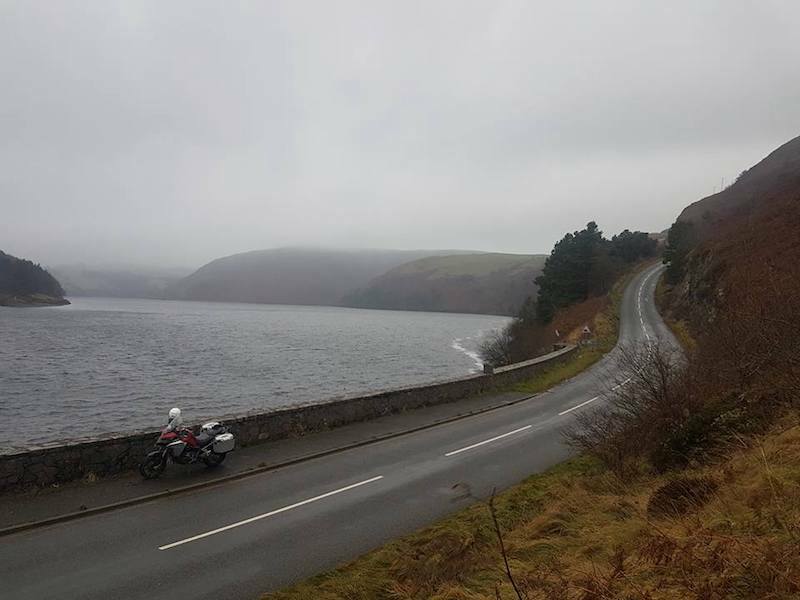 Mid Wales is a real treat for motorcyclists, yet whenever I go there it seems as though it’s all but deserted – great news for me when I want the road to myself, but it’s a shame that more people don’t know about the excellent riding to be had. One such fantastic route is the mountain road between Llanidloes and Machynlleth, the ancient capital of Wales. Any road called the mountain road is bound to be a corker, and this one doesn’t disappoint. 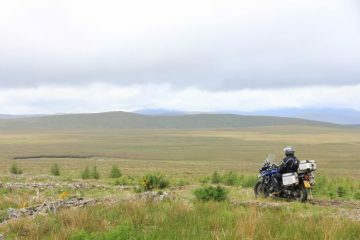 For just under 20 miles you’re taken on a spectacular ride through some of Wales’s loneliest and most beautiful scenery, all the while riding an exciting and enjoyable stretch of tarmac. It can get a bit narrow in places and you’ll have to be on the lookout for kamikaze sheep, but to ride this route fast would mean missing out on the wonders around you. The route is signposted out of Llanidloes, and as you exit the town you’ll pass by Llyn Clywedog and its picturesque dam before rising high into the mountains. On a clear day the views are spectacular, but the last time I was here it was rainy and misty, and the whole journey took on an almost mystical, ethereal atmosphere and it was a real delight. 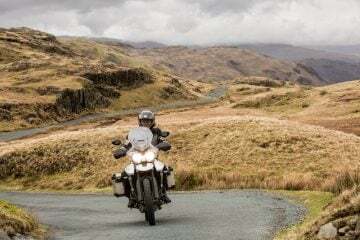 Ride the route east to west, starting in Llanidloes, and then from Machynlleth you can head into Snowdonia National Park where you’ll find some of the best roads in the UK. Ride it: The mountain road is included in the ABR Glyndwr’s Way route through Mid Wales. Get your gpx. route file here. I love Cornwall. The coastline is sublime and there’s so much history based around it that makes discovering the various little smugglers coves and towering sea cliffs a fantastic experience. There’s also some incredible riding to be found in the south west of England, and while a route hugging the coastline will take you along some brilliant stretches of tarmac, there’s one section in particular that provides a heck of a lot of enjoyment. 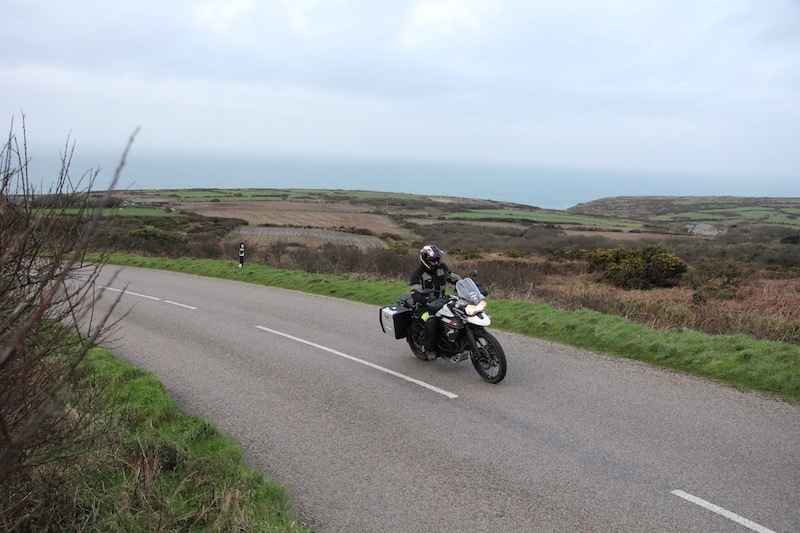 The 13-mile section of the B3306 between the seaside towns of Saint Ives and Saint Just is a stretch of tarmac that was seemingly made for motorcyclists. Following the undulating contours of the land, the road carries you along the coast like a rollercoaster, allowing you to get the most out of your bike and tyres. As you near the end of this marvellous stretch of road you’ll pass by relics of Cornwall’s tin mining history in the form of hauntingly abandoned mines which make for excellent photo stops. Upon completing the road, it’s just a short jaunt to Land’s End, the most westerly point of mainland Britain. Where is it: Between the seaside towns of Saint Ives and Saint Just at the south-west corner of Cornwall. 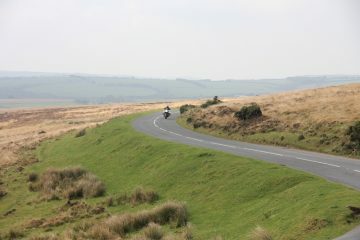 Ride it: The B3306 was included in our tour of South West England, and you can find the whole route here. 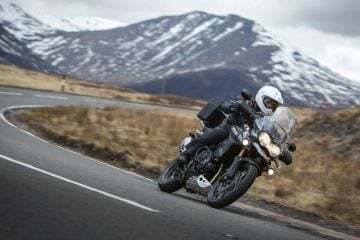 We chose these best roads in the UK with the help of the Italian tyre manufacturer, Pirelli, to provide you with the perfect testing grounds for the company’s Scorpion Trail II tyres. These rubbers have a great, aggressive look that fits well with the aesthetic of adventure bikes, while also blending in sport touring and off-road performance into one set of tyres, making them great for tackling the more rugged roads like Quiraing Pass on the Isle of Skye, where the tarmac isn’t exactly in the best shape. To find out more about the Pirelli Scorpion Trail II, and to discover how they could be the tyres you need for your next adventure, head to the Pirelli website.